Lake Michigan Metals is an Illinois based stainless steel and carbon distributor with over 10 years experience. 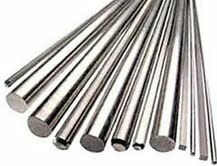 We provide premium certified stainless steel raw materials. We offer scrap metal recycling program, full service ferrous and non ferrous metals. *Part of proceeds from secondary scrap metal is donated to USA veterans.